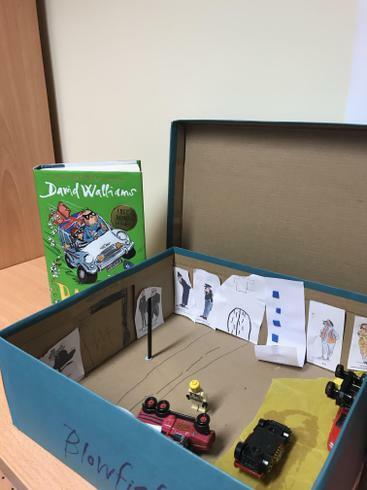 Jenson's choice for book in a box was the thrilling story 'Bad Dad' by David Walliams. 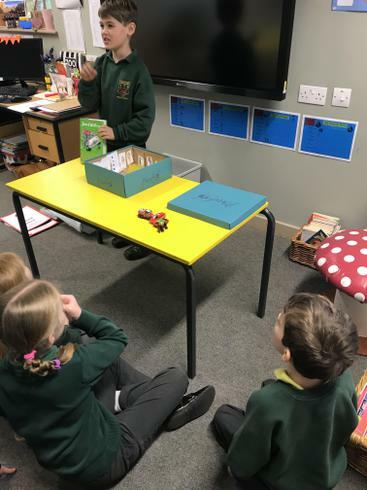 An exciting plot filled with car chases, thugs and a lot of laughs! 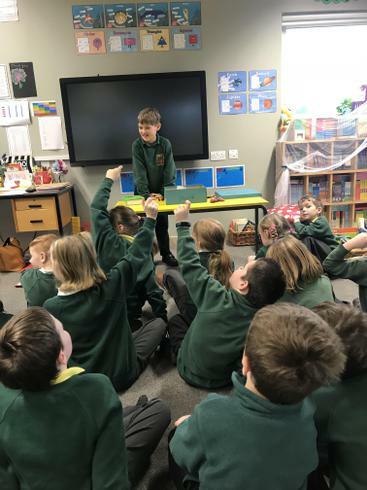 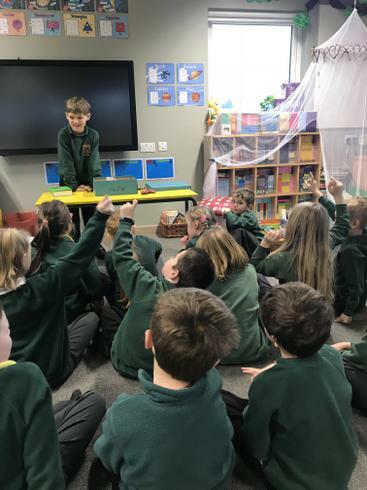 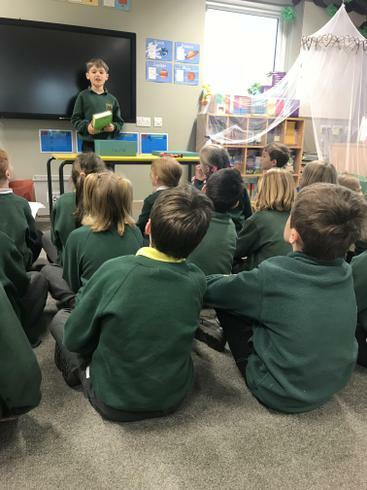 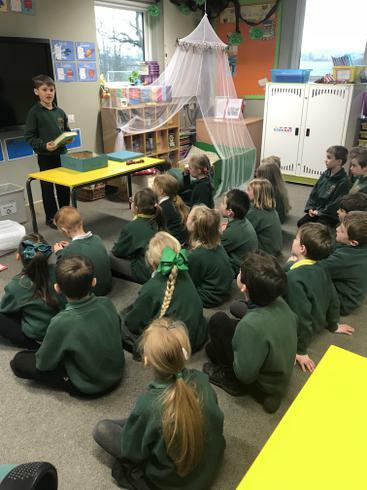 Jenson began his presentation by reading an extract from his favourite chapter, which he read with such enthusiasm and expression - the whole class were in stitches. 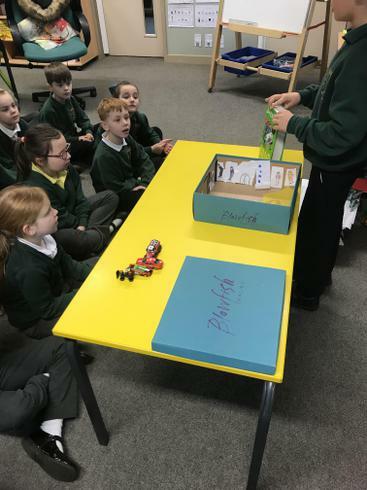 Jenson decorated his box with characters from the text and made a derby scene including a lamp post. 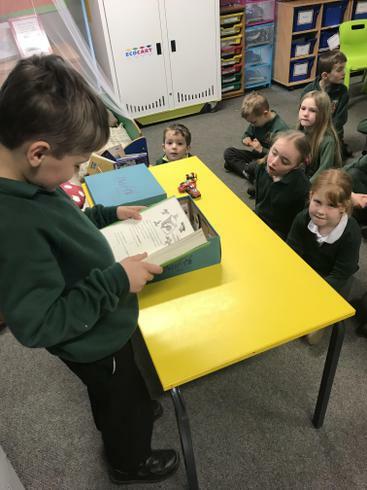 Well done Jenson - a fabulous book in a box.